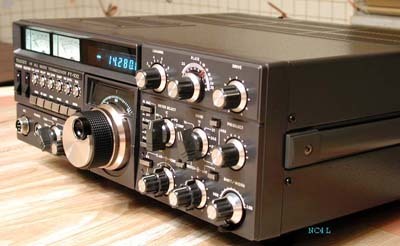 My name is Mal Eiselman and I love to work on the Yaesu FT 102. 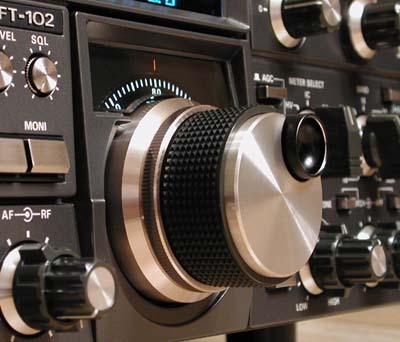 My calls are NC4L and I hold an extra class license. 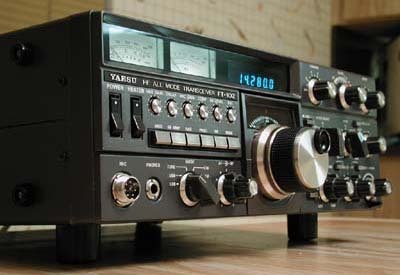 I would like to think that I know every secret of this radio yet each time I work on another Yaesu FT 102 I learn something new - some little fact or some new way of getting to a bad component with a minimum of keystrokes without causing collateral damage (which is easy to do in the 102). 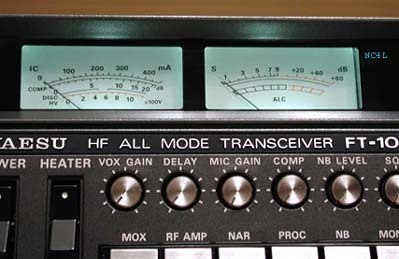 As the radio has aged I see new maladies that pop up that were not noted in the past years. One of these is a noisy 24 Volt supply. The problem is that the two capacitors that are on the input and output of the 24 V supply dry out because they are in a hot area - typically running at 65 C. This permits high frequency noise to be superimposed imposed on the voltage which runs the front end. That noise competes with weak incoming signals and causes about a 6 dB loss of front end sensitivity. Very few people would be aware of this because with a good antenna, band noise would cover up the ability to easily discern the problem. However, I know it is there because I measure the front end sensitivity of every radio before it is completed. I have also found a way to see the noise on the 24 Volt supply line with my scopes as the noise usually runs at 2 mv peak to peak when the caps are OK and 5 mv when they are dried out. The repair of course is to replace both capacitors. Usual ratings on these capacitors are 85 degrees C and 35 Volts. I always use 105 C and 50 Volt ratings on the replacement caps so that the problem will never occur again. This is a new malady but there are many that are usual - not just the relays but poorly crimped interconnecting cables and areas where cold solder joints and fractured joints regularily occur. When I blue print a radio, I now quadruple stress test (sorry but I am a retired cardiologist) the signal paths in receive and transmit and that procedure shows any remaining problems regarding signal transmission within the radio. That is a form of vibration or percussive testing and I do that four different ways. In the future I will be placing several pages on how to repair things yourselves or do modifications (two are already up) on the 102. See below for bulb change instructions or click on link to return to home page. To change the 102 meter lamps ----4/05/03 ---- please read all the instructions first before starting. -Open top case only - 6 screws from the case but also loosen the handle cover screws two full turns to permit having the upper cabinet case to come up. Remove the speaker leads (push on connectors) and place the upper cabinet aside. -Remove two screws holding the meter assembly in place (1). -Carefully remove the brown tape (2&3) and the scotch tape that seals the bottom of the meters. Remove all of the clear plastic tape from the bottom of the meter housing. Discard only the clear plastic tape as you will be reusing the brown tape later. -Carefully remove the blue plastic boot on the old bulb: If you have bulbs with the boots installed these next few steps are not necessary so proceed to the fourth paragraph down which starts with "Grab the lead". Method 1 - (6) Shimmy the open end of the old boot back across the bulb by grasping the bulb and boot between your thumb and index finger. Hold the lead to the bulb with a hemostat so that you have something to pull against. Work one edge at a time - first your thumb and then your index finger - like swimming or climbing down a ladder. Be gentle at first and then apply more pressure if it doesn't move. It should move only a small but visible amount each time so keep working at it with persistence and it should come off. -Then rinse and dry the blue plastic boot and place it onto the new lamp. -Grab the lead from the new bulb (blue boot installed) with the very tip of the hemostat (7) and wrap it around the post. Do the same on the other side of that bulb and then do the other meter. Adjust the position of the bulb until the filament is in a position midway between the two posts and then solder the lead to the posts at all four positions. An easier way is to tack the wire onto the post with solder and clip the left over lead. -Then take some scotch tape and rub the sticky side of the tape along the blue plastic boot to remove any dirt or fuzz from the plastic boot. Now clean the meter face and the meter cover (both inside and out) and replace the clear plastic cover by snapping it into place. Apply some scotch tape along the bottom of the meter to seal it from dirt and cover the small hole in the front of the meter housing with the same piece of tape. This edge of the tape should be trimmed with a scissors prior to covering the hole so that it just fits over the hole. Reapply the brown tape to the underside of the meter housings (acts to baffle the light) and put everything back together (don't forger to reattach the connectors to the speaker and VERY gently tighten the handle cover screws). A. - Don't apply too much heat to the posts. B. - Don't over tighten the handle cover screws - just very slight pressure or they will crack. C. - Be very gentle but persistent in removing the blue plastic boots from the old lamps. D. - If you have no audio from your radio's speaker check that you reattached the speaker leads. These instructions should get you thru the procedure without a mishap. 73 and good DX and if you need help call 1-954-961-2034 in the evenings. By the way if you need the photos enlarged contact me via email at "NC4LMal@aol.com" and I can send you the nice large copies.